CLEARWATER, FLORIDA, US, March 21, 2019 /EINPresswire.com/ -- Clearwater, FL – The Church of Scientology Flag Service Organization announces its monthly Historic Fort Harrison tour on March 23rd for tourists and Tampa Bay residents. The tour begins in the Fort Harrison’s grand lobby with its lofty ceilings, brass hand-rails and wrought-iron balustrades. It continues through the Fort Harrison’s 10th floor Crystal Ballroom with its panoramic view of the inter-coastal waterway, then visiting a well-appointed parlor suite, an award-winning restaurant, and state-of-the art Auditorium which hosts monthly charity and non-profit events for the community. 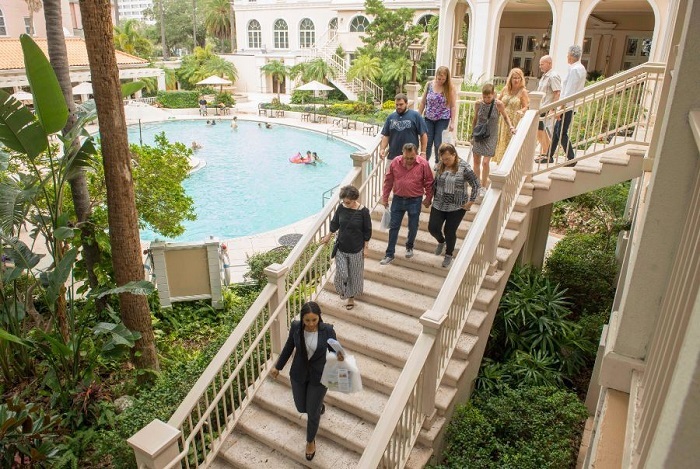 Following the Fort Harrison tour, guests are invited to visit the Historic Clearwater Building, now the Scientology Information Center. Built in 1918, the building was home to the Clearwater Bank. Guests can see the marble floors, 30 foot ceilings, the kitchenette where the bank vault used to be and also have a chance to get answers to questions they may have about the beliefs and the aims of Scientology, as well as its founder, L. Ron Hubbard. To participate in the tour or for more information about the Information Center, please contact Ms. Skjelset at (727) 467-6966 or amber@cos.flag.org.